We've been impressed by the looks and interior quality of the Hyundai i40 and now we get the first opportunity to drive it. 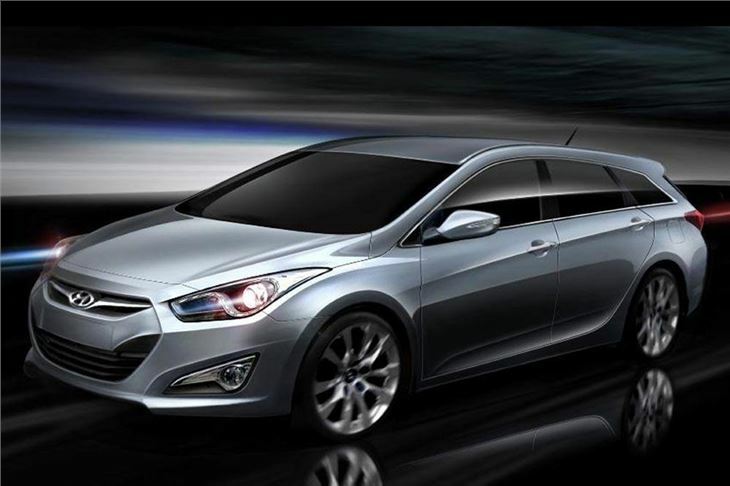 Hyundai is certainly a brand on the up. In just a few short years it's managed to move away from its associations with 'cheap and cheerful' cars to a position where it's now far better known for making reliable and well engineered vehicles. The impressive ix35 was a big stepping stone, proving that value for money, quality and style can go hand in hand. The crossover is certainly a popular model, so much so that demand is outstripping supply. But making a traditional family car has long been an achilles' heel for Korean brands. Kia does still sell the Magentis (apparently) but the last Hyundai in this market was the anonymously bland Sonata. Ten points if you spot one those in the next week. In an arena dominated by the likes of the Ford Mondeo, you need something very good in order to make an impact. 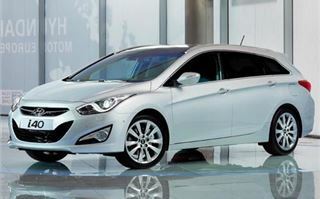 So step up the new Hyundai i40. It’s available as a saloon and a Tourer and it’s the latter which is expected to be considerably more popular in the UK. Styled in Germany and designed specifically for the European market it’s probably the best example of Hyundai’s new ‘fluidic’ styling which can already be seen on the ix35 and ix20. It’s certainly a good looking car and the Tourer is a world away from a traditional boxy estate with a neat, sleek profile. But that doesn’t mean that interior space has been sacrificed. Far from it. 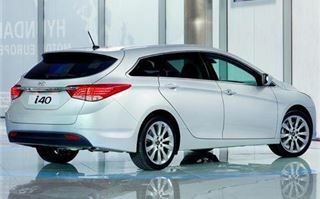 The i40 Tourer is impressively spacious in the back with good head room, even for those over six feet tall. The roof doesn’t slope down too much at the sides either so despite the thick rear pillars, you don’t feel hemmed in sitting in the back. Boot space is another strength. With the seats up there’s 553 litres of luggage space – that’s more than a Vauxhall Insignia Sports Tourer and folding the seats down is very straightforward with just one handle and a quick push needed. Dropping them increases the overall capacity to 1719 litres and the boot floor itself is wide. There is also a useful Audi-style luggage ‘organiser’. It’s essentially a metal bar that slides up and down the boot floor on rails, so you can stop bags and suitcases moving about the place. In fact, it’s easier to use than the Audi one. But what impresses most with the i40 is the quality of the interior. 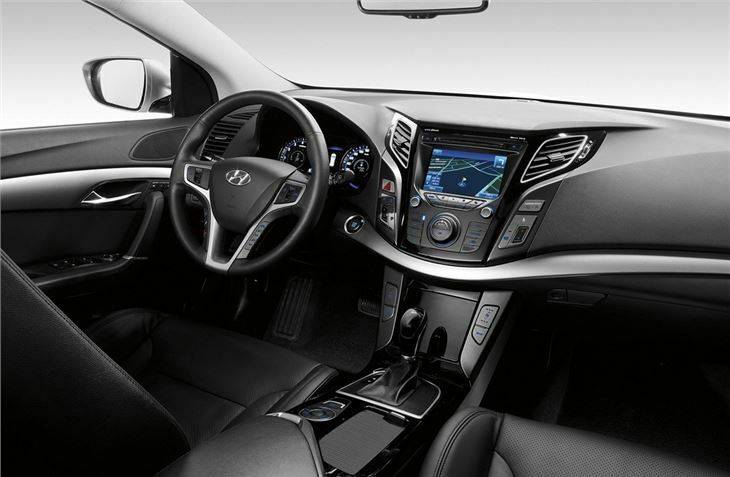 With each new model, Hyundai manages to improve the feel and design of its interiors as the i40 shows. This may be a pre-production model, but there is still an upmarket look to it with some neat design features while all the plastics you touch have a good quality feel. The only real disappointment is the dated indicator and wiper stalks on the steering column. A shame as something so small could easily be improved. The engine line-up is straightforward with a 1.7-litre diesel (that comes with either 115ps or 136ps) and two petrols – a 1.6-litre and a new 2.0-litre with 177ps. No surprise that the 1.7-litre diesel is expected to be the main seller in the UK but unfortunately the only engine available for us to drive with these pre-production models was the 2.0-litre petrol with the six-speed automatic gearbox. It’s been designed as a high torque engine but on our test drive felt anything but. Admittedly this is not the finished article but the engine felt woefully underpowered and was hampered by the CVT gearbox. It has six stepped ‘ratios’ built in but that doesn’t prevent the engine from spending most of its time at high revs when you accelerate. And it may be a smooth and quiet engine at low speeds, but it makes one hell of a din when you work it. Even on a slight incline – and with my foot to the floor – the i40 really struggled to make decent progress. The gearbox is all over the place too and can never seem to work out what you want from it. So it’ll often not kickdown immediately, then after a few seconds it will go down two gears before shifting straight back up again. There are steering wheel paddles but these aren’t nice to use and rather than a quick ‘flick’ need to be properly pulled towards you before it changes. If we’d have been able to drive a 1.7-litre diesel model with a manual gearbox then we imagine this would have been a very different review. Having driven that engine in the ix35 and the Kia Sportage, we know it has good mid-range torque, is fairly refined and would suit the i40 well thanks to its strong economy. The 1.7-litre diesel with 115ps (fitted with Hyundai’s ISG stop and go engine system) will return a claimed 65.7mpg and emit just 113g/km of CO2 making it a very attractive choice for company car drivers. Factor in the high level of equipment that’s expected to be standard and the i40 makes even more sense. 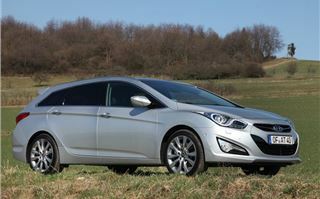 Engine aside, the i40 is refined and rides particularly well. There’s little road or tyre noise on the move and in corners it’s assured if not very exciting or engaging. The steering has a decent level of feel to it and there’s not too much lean in corners either. It doesn’t necessarily sparkle but is very competent nonetheless. 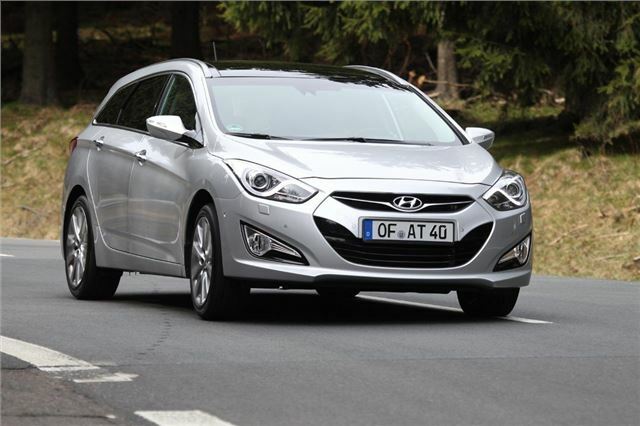 Taking the 2.0-litre engine and CVT gearbox out of the equation, the i40 Tourer does show how far Hyundai has come in the past 10 years, particularly in terms of quality, styling and refinement. It’s well built, refined and should be good value. Add in Hyundai’s Five Year Triple Care package (which includes a five-year unlimited warranty, five years of roadside assistance and five years of vehicle health checks) and the i40 looks a winner.